There are many different constructions and colors. 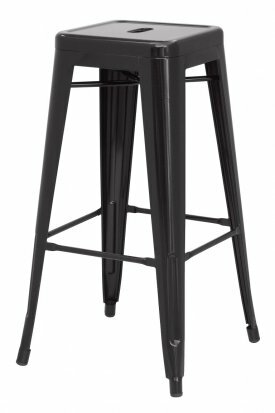 Bar stools are often made of wood or metal. There are bar stools with and without armrests, back, and padding on the seat surface. Bar stools can range from basic wooden designs to extremely detailed ones with a custom height for the perfect fit. Extra tall and extra short are common features, as well as indoor bar stools and outdoor bar stools. Some bar stools have backs, while most do not.